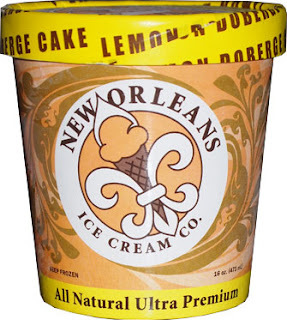 Let's continue our journey through these free samples from New Orleans Ice Cream Company. Lemon Doberge Cake is described as "This Twist on a New Orleans dessert classic has tangy lemon sauce & real lemon cake in our citrus lemon ice cream". That's a lot of lemon, but they say tangy, not tart, so there is definitely hope for this one. Oh, wiki pit stop: Doberge cake originated in New Orleans and is made up of of several layers of cake that alternates with dessert pudding. Yeah, that totally sounds like my kind of cake (and is very reminiscent of my mom's tasty Viennese torte). Seeing a big swirl on the opening shot is usually a good sign. Let's jump right to it: This one is excellent. 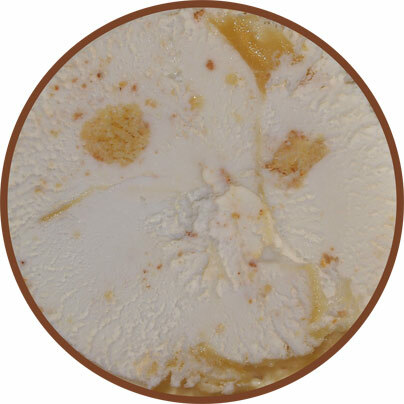 It's the ideal balance of lemon, (ice) cream, and crust flavor. Distinct but not overpowering. Familiar yet frozen. I loved it from the first bite. Flavors like this need to be consistent and this one is. Sure, you'll get a bit of an extra lemony blast if you hit the swirl, but it's a highlight rather than a slap of the tastebuds. It's fun and exactly what you want in a summer flavor. With the excellence of this flavor, and my surprising enjoyment of Ben & Jerry's Key Lime Pie, I can't help wonder why there isn't more competition in this space, though this has inspired me to try the Turkey Hill version. Actually, speaking of B&J's, they went with a meringue swirl, but NOICC doesn't need it. 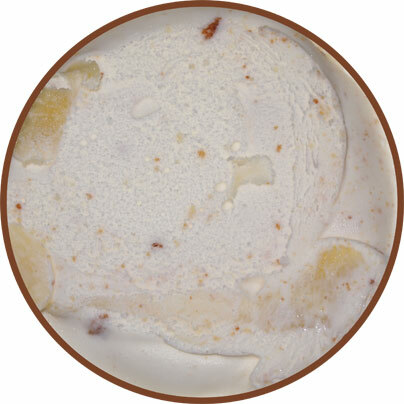 Their base here already has a great sweetness to it which helps deliver that pie vibe, plus now you've got a consistent sweetness and not an intermittent swirl sweetness.